This is the old News Archive from the CIAC pages formerly hosted by Graham Pierce at Aberdeen University. We maintain it here, mostly unmodified, for those of you wanting to search for info on past events etc. Please be aware that some links, for example, those to now defunct conference websites, will no longer work. Note that two of the fieldtrips offer space only for a limited number of part of persons, so if you are interested, register early! Note also that early registration until the end of 2013 can save you some money! It is with a heavy heart that I share the news with you that Dr. John Wormuth passed away suddenly last weekend. I apologize for the delayed notice – this has been hard for me to write. It is always a challenge to summarize an entire life or the contributions of a scientist and educator, but I will try to share some of his many endeavors for those of you who were not familiar with him. 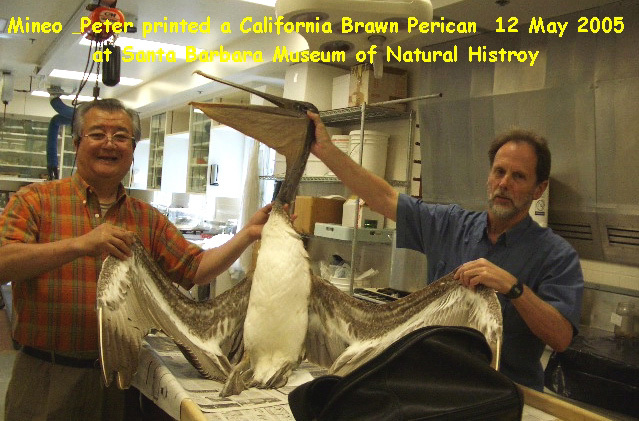 John studied Humboldt squid as a student at Scripps, graduating in 1971. He was a member of the first CIAC Executive Council and contributed to our understanding of biology, identification, and behavior of squid through his work the Smithsonian Contributions to Zoology publications. He also worked with zooplankton and on prey studies of sperm whales in the Gulf of Mexico. 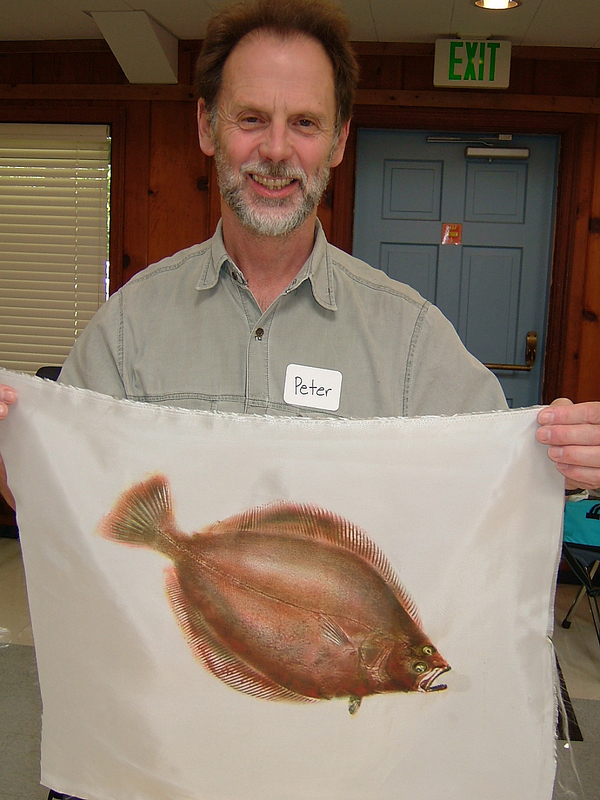 Although not as active in Cephalopod research in recent years, John contributed to our field, especially in within the family Ommastrephidae, and continued to be a cephalopod enthusiast to his final days. He was a dedicated educator and was still teaching at Texas A&M this fall. My mind and heart are reeling for the loss of my mentor and friend. I feel as though the shock of his absence is leaving me ill prepared to be this messenger. If anyone has more to contribute to his memories, please share. I organized a NESCent Catalysis Group Meeting at the end of May on Cephalopod Genomics. Its purpose was to bring together cephalopod biologists, bioinformaticians and genomicists to develop strategies for moving the cephalopod community beyond its current genome-poor state. One goal of the meeting was to develop mechanisms for data exchanges and communication among groups pursuing cephalopod genomes and transcriptomes. A second goal was to prepare a White Paper that researchers could draw on in applying for funding. Before public distribution, we would like to include a list of scientists who support the goals of the White Paper. The Majestic Palace Hotel was blocked for reservations for the CIAC 2012 Symposium. Thus, do not try to make your reservation through the hotel web site or you will receive a message saying the hotel is fully booked. When you are ready to make your accommodation reservation in Florianópolis, go to the CIAC 2012 Symposium web site (www.ciac2012brazil.com.br), click on the link: Hotel Accommodation and then click on: For information on travel and accommodation, please CLICK HERE. Hope you will find this information helpful and will make you reservation soon! Do not wait until the Majestic hotel is fully booked (see the file attached)! Announcing the triennial CIAC award for excellence in published cephalopod research: As part of its role to encourage high quality and innovative science, the Cephalopod International Advisory Council (CIAC) is sponsoring an award for the most significant journal article published over the period since the last CIAC symposium (2009-2012 inclusive). I look forward to seeing all of you in Florianópolis in October! The 2012 American Malacological Society meeting will be held this June 16 – 21 in Philadelphia, Pennsylvania. There will be a themed session on cephalopods on Monday, June 18th. Please consider joining us for what will be a low key, fun event. All topics are welcome – evolution, ecology, behavior, physiology, biomechanics, or any other aspect of cephalopod biology. Come and get ready for Brazil! Deadlines are coming up quickly – early registration and abstracts are due May 1st. Full registration is $180 for AMS members, $250 for non-members and $100 for students and includes the welcome party, banquet and reception at the Academy of Natural Sciences. One day registration is $50, but does not include any festivities. Hotel reservations are due May 17th for best rates and availability. Questions about the cephalopod session can be directed to Liz Shea at eshea@delmnh.org or 302.658.9111 x319. Please send general questions about the meeting to Paul Callomon at: callomon@ansp.org. From Jennifer Smith Robertson: – Jennier found this link to the results of the All England Squid Fishing Championship! The 35th Larval Fish Conference will be held in historic downtown Wilmington, North Carolina, USA during the week of May 22nd-26th, 2011. The local organizing committee, consisting of Jeff Buckel (North Carolina State University), Tom Lankford (UNCW) and Fred Scharf (UNCW), invite you to consider submitting an abstract to participate in this year’s event. The meeting will begin on Sunday evening with a welcome social along the Cape Fear riverfront. The technical session will start on Monday morning with a special plenary talk delivered by Dr. Ed Houde from the University of Maryland – Chesapeake Biological Laboratory and will continue through Thursday. We have already established several theme sessions and are in the process of finalizing others, see details below. We’re also planning for a separate poster session during one of the afternoons to enable full focus on the poster contributions during a designated block of time. Beyond the welcoming social on Sunday, we also have an evening planned on the fantail of the USS North Carolina, a decommissioned WWII battleship maintained in Wilmington. The banquet will be held at the historic Bellamy mansion, a restored antebellum home built just prior to the start of the Civil War. Primary lodging accommodations will be provided by the Best Western Coastline Inn, with riverfront views from every room. The technical session will take place directly adjacent to the hotel for added convenience and there are a multitude of restaurants, shops, and bars all within walking distance. Wilmington International Airport is serviced by Delta and USAirways and can be reached from most major US cities with one connection. The airport offers easy access to the historic downtown area via a 10-minute taxi ride. We are working hard to keep registration costs down, particularly for students, and plan to have the total costs finalized by early February. We hope to have Registration and abstract submission pages up and running no later than Feb 15th. Please check the link for the 35th LFC at http://www.larvalfishcon.org for regular updates and new information. The 2011 LFC will have several theme sessions, designed to include a combination of invited and contributed papers on topics of broad interest to members of the section. Each of the sessions is open to contributions by any author whose paper is aligned with the respective themes. 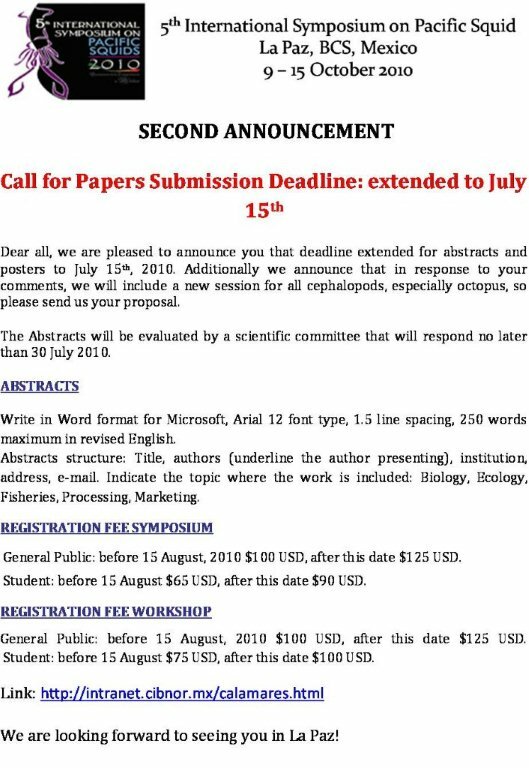 If you would like to have your paper considered for inclusion in a theme session, you will be able to indicate a specific theme session during the abstract submission process. Alternatively, there will be an option for general contributed papers. Description: The increased demands of global fisheries on cephalopods requires an firm understanding of their ecological role in marine ecosystems, relationships with other fishery resources, and knowledge of the underlying environmental factors affecting growth, distribution, and survival. 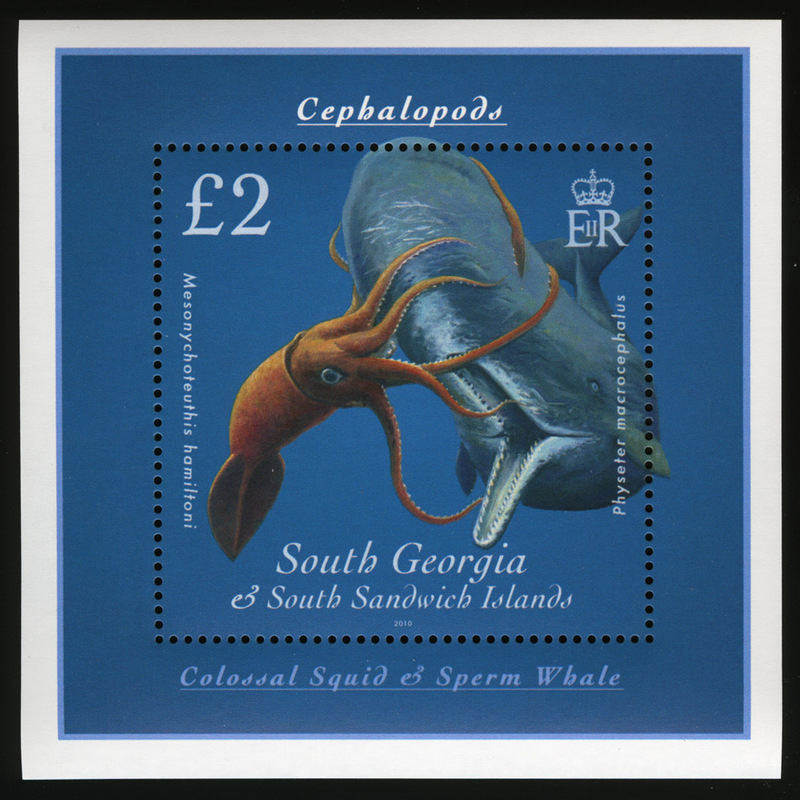 This theme session is open to all areas of cephalopod early life history however, topics encompassing the ecology of early life stages, spatial and temporal distributions of paralarvae in the environment, factors affecting recruitment variation, impacts of climate change and ocean acidification, use of new techniques for identifying paralarvae, and supporting age and growth studies are especially encouraged. Contributions from field, laboratory, and modeling approaches are welcome. We are still finalizing plans for some of the theme sessions and will have updated information related to each session by the time registration and abstract submission opens (Feb 15th). In addition, if a member has a specific idea for a theme session that they would like to organize, please contact either Jeff (jeffrey_buckel@ncsu.edu), Tom (lankfordt@uncw.edu), or Fred (scharff@uncw.edu) to discuss it further. We are looking forward to seeing everyone in May. We are pleased to announce that 2011 Euroceph Abstract Submission is now open! Please visit the website http://www.euroceph.org or http://euroceph.org for updates. The conference website will continue to evolve as we get closer to the conference dates. Features such as Program updates, Speakers and Community, General Info will be added over the next few weeks and then updated continually. At the same time we remind all of you that Early Bird Registration will close soon (January 21th, 2011). As you noticed, the registration fee includes conference fees, accommodation for three nights, continental breakfast, two refreshment breaks, light lunch and evening meal. A number of student meeting awards will be available; the award will assign complimentary registration for the EuroCeph2011 meeting. Please distribute this email to your colleagues! New large species of squid found: A new species of squid has been discovered by scientists during a research cruise in the southern Indian ocean. The 70cm-long specimen is a large member of the chiroteuthid family… For further information go to http://www.bbc.co.uk/go/em/fr/-/news/science-environment-11760991. I am pleased to inform you that the proceedings of the 7th International Symposium, Cephalopods-Present and Past has already been published. The senior authors of the papers appeared in the proceedings have already been received a copy, but if some of you still have not it, you can be order it at a special discount price. Please contact Mr. Hiroshi Ina of the Tokai University Press by e-mail (Payment by Visa or Mastercard). Special price: 6000 Japanese Yen – including tax and postage by SAL parcel. 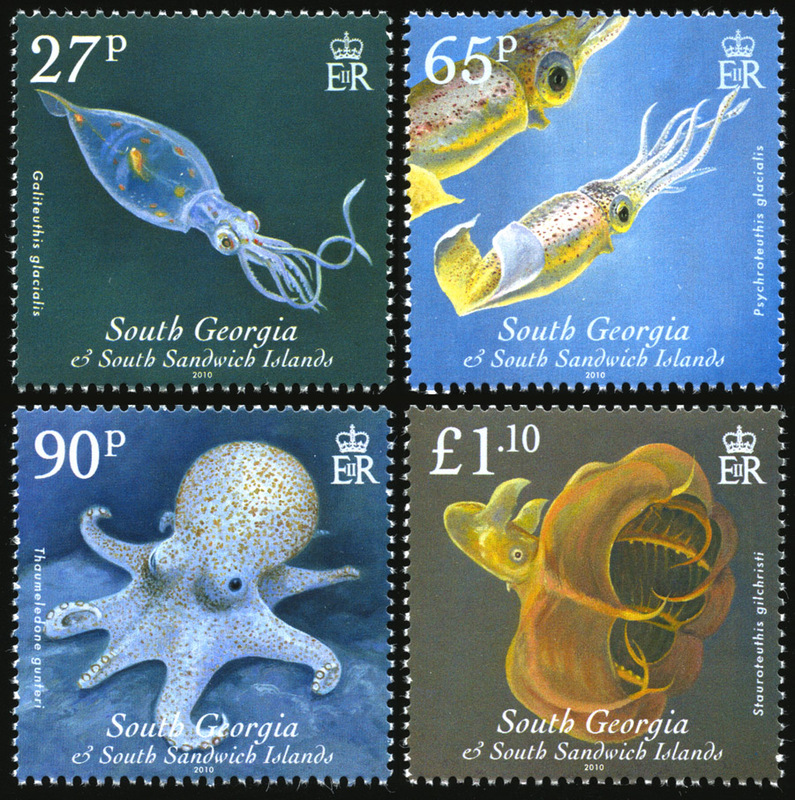 11/03/10: A Press Release announcing some new postage stamps from South Georgia which illustrate the cephalopod fauna. We are making slow but steady progress with the red list assessment process. Over the coming months I would like to get preliminary assessments out to the International Community (that’s you!) for your input. I will do this slowly, one taxonomic group at a time. I would like to start with the Idiosepiidae. We have amassed all the relevant data we can find in the primary literature on these species and presented it in the manner required by the IUCN. However, I’m aware that very much more information is known by individual researchers. Hence, if you are interested in contributing to, or commenting on, the red list assessments of Idiosepius species, please would you email me (louise.allcock@gmail.com). I will then send you all or some of the Idiosepius preliminary assessments, as you wish. Important: this conference will now be held on 13-16 May. Attendees wishing assistance with getting visas may contact Lu Huaqing. 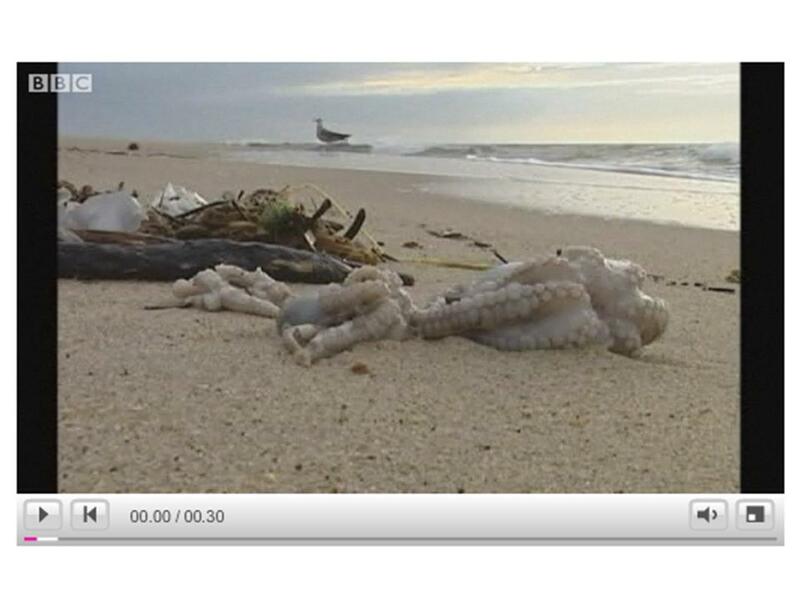 Thousands of dead octopuses wash up on Portugal beach. This might be a massive mortality produced by a sharp change of salinity. If it has rained intensely several months, the contribution of fresh water that would have entered the estuary of the Tagus would be enormous. A decrease of the salinity from 35 to 29 could produce the death of these animals. A massive mortality of octopuses of the same species occurred with animals cultivated in suspended cages in the north part of the Ria deVigo (Galicia), which is also an estuary, a few years ago, when the contribution of fresh water closet for the rivers due to the intense rains increased. The appearance of the dead animals was similar in both cases (see Chapela et al 2006): the animals that died in the sea cages due to low salinity also displayed the arms rolled outwards and a very pallid colour. Oceanographers at IIM have noted that this autumn (2009), and especially the beginning of winter, has been characterized by heavy rains affecting the Douro and Minho Rivers (North west Spain and North Portugal). At certain times,for example dams upstream are open, the layer of fresh water transported by the rivers be several metres deep. Northerly or northeasterly einds can push this layer of fresh water against the south margin of the estuaries (for example where Vilanova de Gaia beach is located or where the suspended cages in the Ría de Vigo are located). This sudden influx of fresh water can produce high mortalities in sessile organisms such as bivalve mollusks (e.g. clams), as occurred in some parts of the Ría de Arosa in Galicia, and might also cause massive mortalities in animals with relative low capacity for displacement, as it is the case for octopuses, which are quite stenohaline organisms. Information on the 2009 best paper award and and updated list of honorary life members has been uploaded. Preliminary notes on constitutional change have been uploaded. Council would welcome your thoughts on these proposals. New information on the Encyclopedia of Life, an update on the presentation at CIAC 2009, is now available here. A report and photos from the 2009 conference have been posted on the conferences web page. This now has an English language website (http://news.zjou.edu.cn/fish-meeting/english-meeting/) and the conference e-mail address will be: cephalopodzjou@yahoo.com.cn. The first announcement is available as a pdf here and there is also a form to complete if you plan to attend the conference. Symposium theme: sustainable development of cephalopod fishery. Deadline of submission: Abstract: 31 December 2009, no more than 400 words; Manuscript: 31 March, 2010. 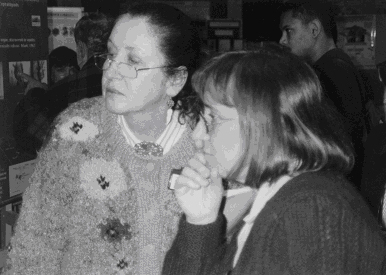 Secondly, the 8th International Symposium on Cephalopods Past and Present in France in August-September 2010. From the organizing committee: The “International Symposium, Cephalopods Present and Past” (ISCPP) brings together all scientists working on extant or extinct cephalopods. The diversity of this group of mollusks, together with its broad temporal and spatial distribution, makes it a successful model for addressing key scientific issues. We are proud to host the 8th ISCPP at the University of Burgundy, Dijon, France from August 30 to September 3, 2010. It will be a unique opportunity for sharing research ideas and recent findings on all aspects of cephalopod biology and evolution. We strongly encourage young scientists to attend this symposium. Studies using cutting-edge techniques and original approaches are particularly welcome. Dijon is the lively capital city of the Burgundy region, an area that is famous worldwide for its fine wines, gastronomy, and historical patrimony. It harbours a vast array of churches, abbeys, and museums scattered in its scenic streets, and it is surrounded by some of the most notorious vineyards in the world. Dijon is located 310 km (186 miles) from Paris and it takes only about 90 minutes to go there by train. We are looking forward to seeing you in Dijon! ENCYCLOPEDIA OF LIFE – YOUR INPUT IS NEEDED! CIAC is endorsing the cephalopod pages of the Encyclopedia of Life as the natural successor to the ailing/defunct Cephbase and to offer assistance with managing the assembly of materia. This project needs your input! Roger Hanlon is co-ordinating the cephalopod content of EOL. Annie Lindgren and Jan Strugnell are CIAC´s representatives in the project. Yves Cherel and Jose Xavier recently completed their book “Cephalopod beak guide for the Southern Ocean”, published by the British Antarctic Survey (preface by Paul Rodhouse). This includes a CD with 3-D imaging visualization of cephalopod beaks from the Antarctic. Some copies of the book are currently ondisplay at the CIAC conference in Vigo. Peter Boyle died on 22 April 2009. In the words of his son David: “Peter Boyle (Chapel of Garioch), Marine Biologist and Azorean Mill owner, died on Wednesday 22nd of April after giving an aggressive cancer a serious hammering for many years. It was against his wishes as he still had big plans. He leaves a cavernous gap in the lives of his wife Ann, his 3 children, Alice, David & Catriona, and his 5 grandchildren, Jade, Ruth, Calum, Max & Nova.” Donations to Cancer Research UK are invited. CIAC has now launched its “Best Scientific Paper Award” as a way of recognising important advances in cephalopod research. Nominations for the best “cephalopod” paper published since the last CIAC conference in early 2006 are now sought, by 15 July 2009. For further details, please see the awards page. Sadly, Martin Wells died on 1 January. Please see below a letter circulated by Prof Malcolm Burrows, head of the dept in Cambridge where Martin worked. 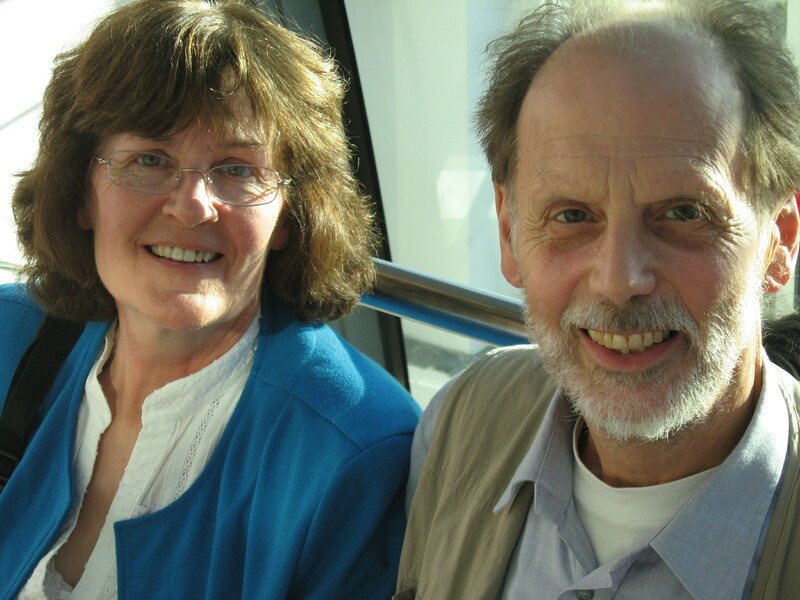 It is with great sadness that I have heard from Charlie Ellington of the death of Martin Wells on 1 January. He died suddenly while visiting his son Simon’s family in California. I understand he will be cremated there and his wife Joyce will return to the UK later in the month. Martin was born on 24 August 1928 and was a long time member of the Department. He was a Frank Smart Prize winner in 1951, then undertook research with Wigglesworth before working at the Marine Station in Naples. He was appointed a Demonstrator in 1959, a Lecturer in 1964 and a Reader in 1976. He retired in 1995. Many of us will have vivid and happy memories of Martin. The legacy of his science, his art and his writing still permeate the Department. Some time ago, I was approached by the Zoological Society of London to ask whether I would be prepared to head up the assessment of all cephalopod species to see which should be included on the IUCN world red list. I posted that email to fastmoll, so this is probably not news to most of you. I think the process will be beneficial to the cephalopod community as a whole because there are very few invertebrate groups being assessed and it will raise the profile of cephalopods generally. See, for example, the recent paper on corals that resulted from the red list process of this group (Carpenter et al., 2008. One-third of reef-building corals face elevated extinction risk from climate change and local impacts SCIENCE 321 (5888): 560-563). I am now starting the red listing process for cephalopods. Every species needs to be assessed prior to the cephalopod red list assessment workshop, which will be held at CIAC 2009 in Vigo. I would like to invite any/all of you to participate in the assessment process, which involves compiling data (using a specific template) on distribution, major threats and existing conservation measures etc for every species. If there is a particular taxonomic group that you would like to tackle or, if you would like to take responsibility for a particular region’s fauna, or even if there are just one or two species that you feel you are particularly knowledgeable about, then please get in touch with me (l.allcock@qub.ac.uk) as soon as possible. Dr Louise Allcock. Co-Editor, Journal of Natural History. Martin Ryan Marine Science Institute, National University of Ireland, Galway, Ireland. As young scientists of CIAC, we find essential to keep the Cephalopod scientific community informed of the cephalopod work we have been doing. We were at one of the most important conferences of the International polar Year, the SCAR/IASC conference in St. Petersburg where scientists from all research areas from the Arctic and Antarctic got together. More than 1400 scientists attended. Below is the work we presented. Jan Strugnell gave a talk with the title of “Evidence for population genetic structure in benthic Antarctic octopuses from microsatellites and cryptic speciation from DNA”. She was awarded one of the “best 10 talks given by young scientists” of the conference. Jan gave some initial results from some population genetic work looking at 3 species of Antarctic benthic octopus (Pareledone turqueti, P. charcoti and Adelieledone polymorpha). Large numbers of individuals of these species have been collected from Antarctic waters over the last 10 years. She sequenced a selection of mitochondrial genes and also developed microsatellite libraries for each of these species. The initial results from the mitochondrial data suggest that the individuals of Pareledone turqueti and Adeleiledone polymorpha collected from South Georgia and Shag Rocks may in fact be a different species to those found closer to the Antarctic continent. The microsatellite data shows significant population structure in Pareledone turqueti around Antarctica and suggests barriers to dispersal. José Xavier gave a talk on “Inter-annual variations in cephalopod consumption by albatrosses at South Georgia: Implications for future commercial exploitation of cephalopods” based on his work with Paul Rodhouse and colleagues at the British Antarctic Survey. In this study, inter-annual variation in consumption of cephalopods by grey-headed and black-browed albatrosses, while breeding at South Georgia between 1996 and 2000, was assessed by comparing consumption estimates from a reparameterized version of the South Georgia Seabird Impact Assessment (SGSIA) model. The reparameterized model showed that there are considerable inter-annual variations in cephalopod consumption in both albatross species which are linked to oceanographic conditions, including with the El Niño, and to changes in cephalopod availability to predators. The cephalopod species with the most commercial potential (Martialia hyadesi, Kondakovia longimana, Moroteuthis knipovitchi and Gonatus antarcticus) also showed considerable differences in their consumption by predators. Due to the importance of these squid species in the diet of albatrosses, precautionary measures for future commercial exploitation are suggested, following Rodhouse (1997). These results were published in Xavier et al (2007) Marine and Freshwater Research 58: 1136-1143. During our stay in St. Petersburg, José Xavier received the collected articles of the XVI Conference on Study of Molluscs (morphology, phylogeny, biogeography and ecology) (2007), in Russian, from Chingis Nigmatullin though his friend Boris Sirenko. If interested to learn more, just let Jose know. 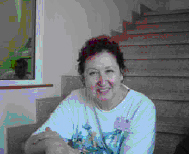 Martina Adriana Compagno Roeleveld has died in Cape Town 30 June 2006. Excellent cephalopod systematist, uncompromising, difficult but brilliant and reliable friend, will always be remembered and sadly missed. Farewell, Sparky, we certainly will meet (and quarrel again) in the better world.